There is no clear path for the Brexit process in the coming days and weeks, but despite this the Pound Sterling to Euro (GBP/EUR) exchange rate has been edging higher this week so far. This has been due to weak Eurozone data pulling the Euro (EUR) lower. Weakness in the Euro helped GBP/EUR to advance last week too. GBP/EUR opened last week at the level of 1.1164, but despite spending most of the week tumbling saw a sharp recovery on Friday and closed the week at the level of 1.1200. At the time of writing on Tuesday, GBP/EUR continued to climb slowly and trended in the region of 1.1234. Gains have been very limited today so far though, as Pound (GBP) investors are hesitant to make any big moves ahead of today’s anticipated Brexit developments. UK Parliament will finally hold its anticipated vote on Prime Minister Theresa May’s negotiated Brexit deal today, and the deal is not expected to succeed. Essentially, the Pound outlook is filled with uncertainties. Despite this though, market disappointment with the Eurozone’s weakening economic outlook is weighing on the Euro this week, making it easier for even a weak Pound to advance against it. Investors were hesitant to keep buying the Pound on Tuesday, as the imminence of the evening’s upcoming Brexit vote meant that the outlooks for UK politics, economics and the British currency were all filled with uncertainties in the short to long term. While the Pound was able to keep edging higher versus a weaker Euro today, the broadly uncertain Brexit outlook meant that this was more due to Euro weakness than Pound strength. However, Sterling did see a small boost of strength at the beginning of the week in reaction to news that the EU was prepared to officially extend Article 50 and delay the formal Brexit date, if the UK were to ask. Markets do not expect UK Prime Minister Theresa May’s Brexit plan to pass through UK Parliament this evening though. Even though a delay to Brexit is becoming more likely, the uncertain outlook is ultimately keeping the Pound unappealing. 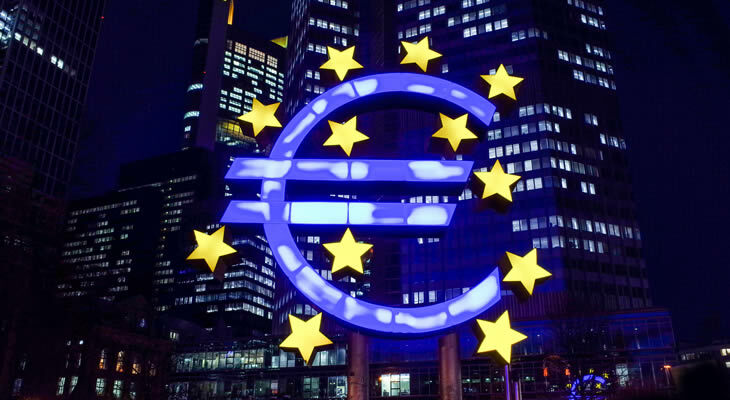 The primary reason for the Pound’s gains versus the Euro this week has been Euro weakness, as disappointing Eurozone data on Monday and unsurprising but concerning German stats on Tuesday left investors fearing a slowdown in the Eurozone economy. Investors were underwhelmed by Germany’s 2018 Gross Domestic Product (GDP) report on Tuesday, which confirmed that Germany’s growth had slowed from 2.2% to 1.5% throughout the year. The figure was expected, and analysts took the figure to mean that Germany’s economy had just narrowly missed a technical recession in late 2018. It did mark the weakest German growth in five years though, and gave investors little to be excited about. It followed Monday’s highly disappointing Eurozone industrial production report, which saw surprising contractions that caused European Central Bank (ECB) interest rate hike bets to fall. While the Euro has driven the Pound to Euro (GBP/EUR) exchange rate so far this week, the Pound outlook could be in for significant changes depending on how the Brexit process unfolds in the coming days. The Pound outlook could fall much lower if a general election becomes likely, or if the UK government heads towards a worst-case scenario No-deal Brexit. On the other hand, any hopes of a softer Brexit or even no Brexit at all would make the Pound outlook stronger. The UK Parliament vote on Brexit is likely to be the most influential event on the horizon for GBP/EUR, but upcoming Eurozone inflation figures could have an impact on the Euro outlook too. Wednesday will see the publication of Germany’s final December Consumer Price Index (CPI) inflation rate results. These will be followed by the Eurozone’s overall December inflation figures on Friday. If they fall short of expectations, European Central Bank (ECB) interest rate hike bets could fall and the Pound to Euro (GBP/EUR) exchange rate may avoid even worse losses.